Please note that the following items are no longer gluten-free and should be crossed out from your Cecelia’s Marketplace Gluten-Free Grocery Shopping Guide, 2007 Edition. Better Than Bouillon – Remove: Reduced Sodium Beef & Reduced Sodium Vegetables bases. Hershey’s – Remove: Almond Joy and Mounds. Malt-O-Meal – Remove: All Malt-O-Meal cereal. Safeway – Remove: Golden Corn Nuggets cereal. Tyson Simply Perfect – Please note: Chicken Tenders (Bagged) are NOT gluten-free. Fresh Chicken Breast Tenders are gluten-free. Old Dutch – Remove: All Old Dutch chips with the exception of Plain Tortilla Chips. Trader Joe’s – Remove: Chocolate Truffles. Archway – Remove: Coconut Macaroon Cookies. Genisoy – Remove: All Genisoy products. Progresso – Remove: Vegetable Classics – Green Split Pea with Bacon. Beano – Remove: Gas Relief Tablets. Centrum – Remove: All Centrum Vitamins. At Cecelia’s Marketplace we strive to provide the most accurate and up-to-date information. 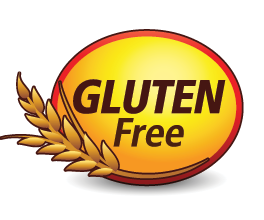 If you find a product in our Gluten-Free Grocery Shopping Guide that is not gluten-free please let us know by emailing: info@ceceliasmarketplace.com.